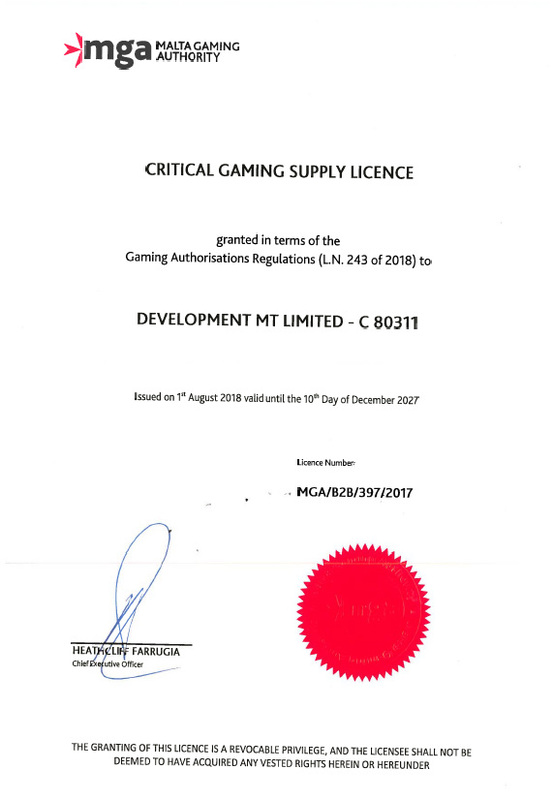 Let us to announced that we have become a holders of Maltese class 4 license (licence number MGA/B2B/397/2017) for providing the gaming content. The license is granted by the Maltese gaming authority (MGA) and the licensing procedure is very arduous in many ways that we are proud of the fact that we managed to get it in such a short time. With the license our games will be in many other casinos across Europe which will increase their popularity and interest in players.